Future of the Fjords, the world’s first all-electric and completely emissions-free ship, launched in April this year by Norwegian tours operator The Fjords, is now operating as a cruise vessel on the spectacular Gudvangen to Flåm route along the Nærøyfjord, Sognefjord and Aurlandsfjord of western Norway. 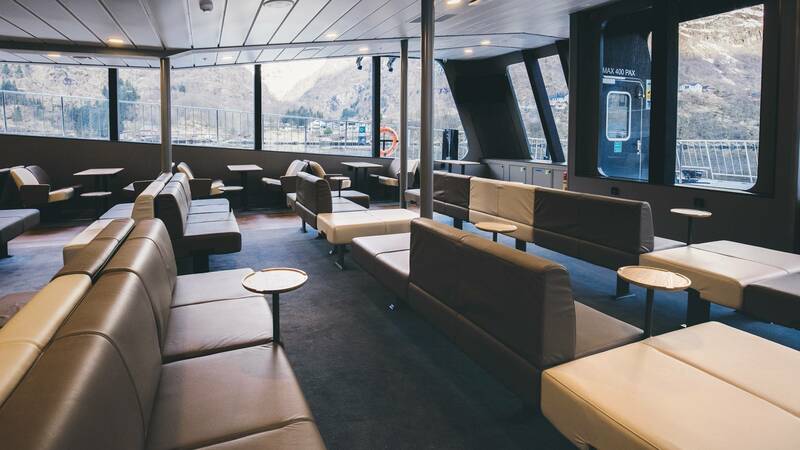 Future of The Fjords was commissioned as part of the shipowner’s program of fleet renewal with the backing of Fjord1, the largest ferry operator in Norway, and of Flåm AS, the company that promotes tourism in the Flåm area, to provide vessels that deliver optimal passenger experiences with minimal environmental impact. 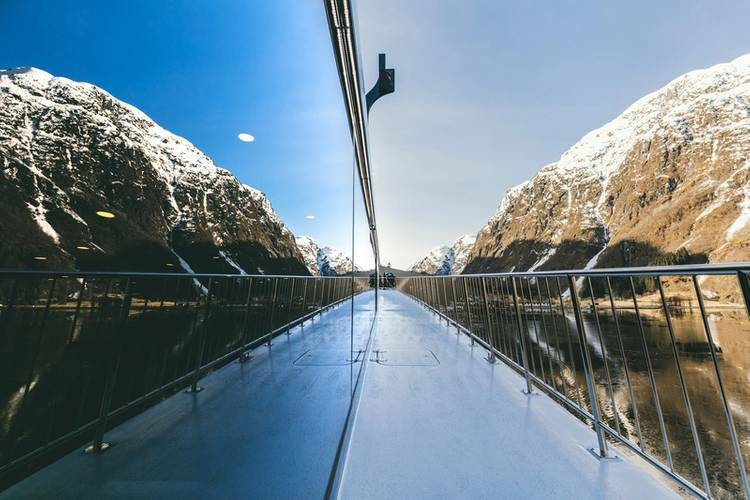 Constructed by specialist shipbuilder Brødrene Aa, the new vessel retains the eye-catching ‘mountain path’ design and environmentally-friendly build of its sister ship Vision of the Fjords, a hybrid diesel-electric vessel, with a hull that minimizes wake and reduces shoreline impact erosion. The Power Dock, the ship’s revolutionary floating charging station, which was also developed in partnership with Brødrene Aa, takes on gray and black water to ensure no sewage discharge into the pristine waters between Gudvangen and Flåm. Future of The Fjords also offers up to 400 passengers spectacular panoramic views of the western Norwegian fjords, with a guaranteed one meter each of railing on deck for a unique ‘front-row’ experience of nature. 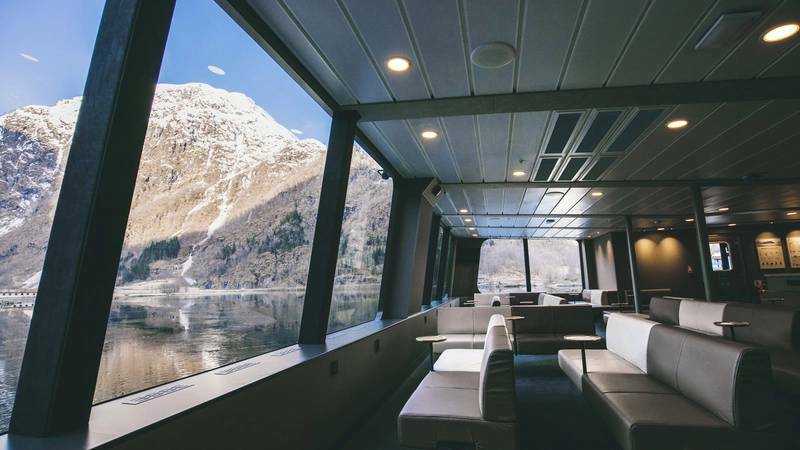 Future of The Fjords, which took its first passengers through the UNESCO World Heritage listed Nærøyfjord on May 15 this year, was conceived, developed and constructed through a collaboration between leading industry players, each contributing its individual competencies to provide the key pieces of this environmentally responsible vessel. 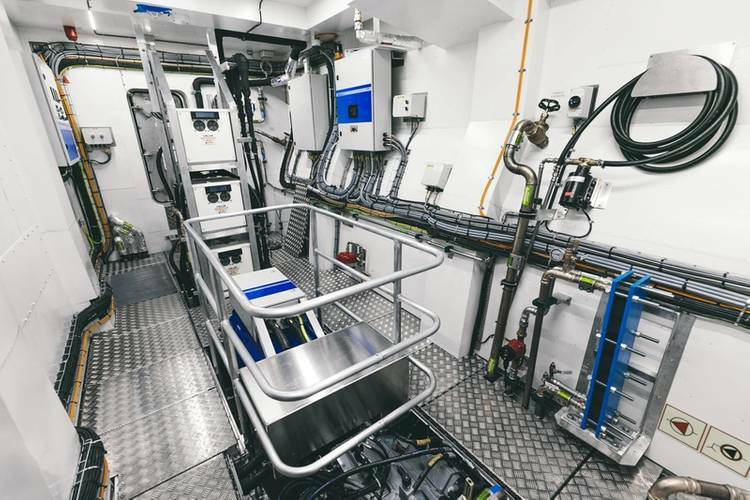 The new DNV GL classed ‘light craft’ is propelled by two 450 kW electric motors, enabling cruising speeds of 16 knots. 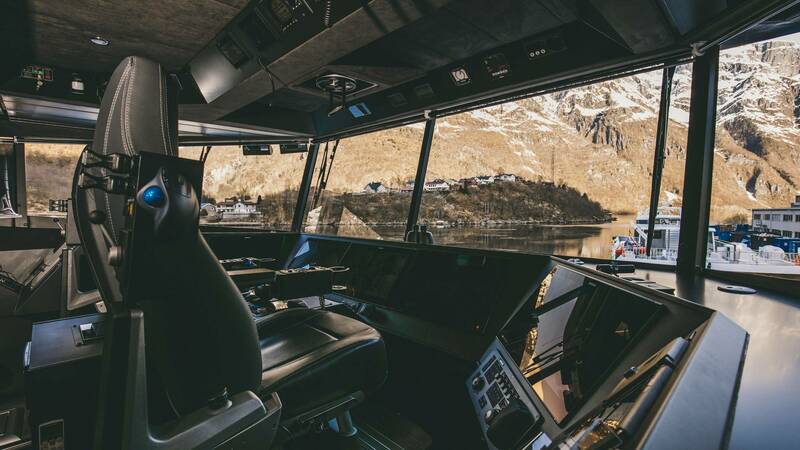 In addition to its advanced propulsion system, Future of the Fjords features upgraded IT systems to ensure that the ship meets modern digital demands. 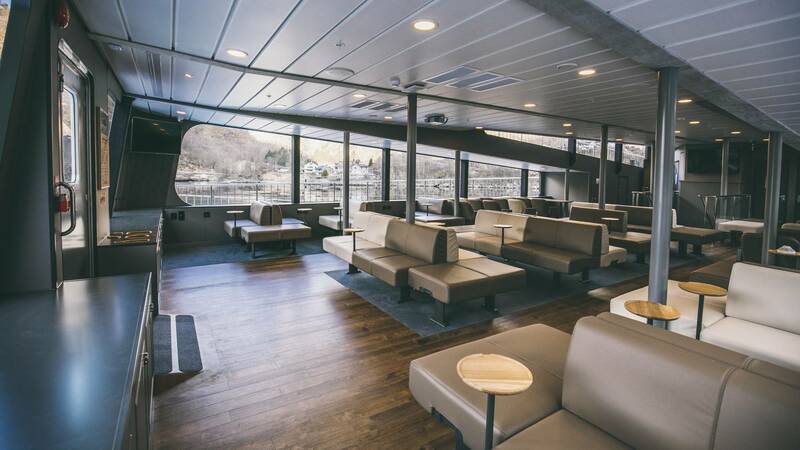 The vessel also features a restaurant and high comfort levels. The ship cost NOK 144 million (about $17 million), marking a significant increase over the NOK 90 million (about $10.6 million) price tag of Vision of the Fjords. Much of the extra investment is the result of opting for an all-electric solution. Enova, an organization promoting low-emissions solutions backed by the Norwegian Ministry of Petroleum and Energy, provided NOK 17.8 million funding (about $2.2 million) in support of the project. The Power Dock charging solution developed jointly by The Fjords and Brødrene Aa, is a 40-meter long, 5-meter wide floating glass fiber dock that sits in the water at Gudvangen, housing a 2.4 MWh battery pack. This charges steadily throughout the day via connection to the local grid network, which does not have the capacity to charge Future of The Fjords directly. The innovative solution allows the vessel to stably, efficiently and cost-effectively ‘refill’ in 20 minutes. 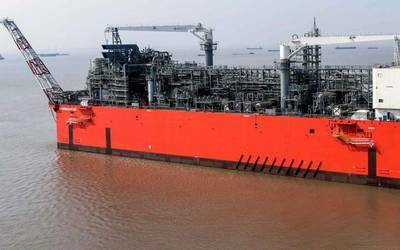 The Power Dock also stores consumables and fuel for sister vessels, and allows black water to be offloaded for treatment on land. 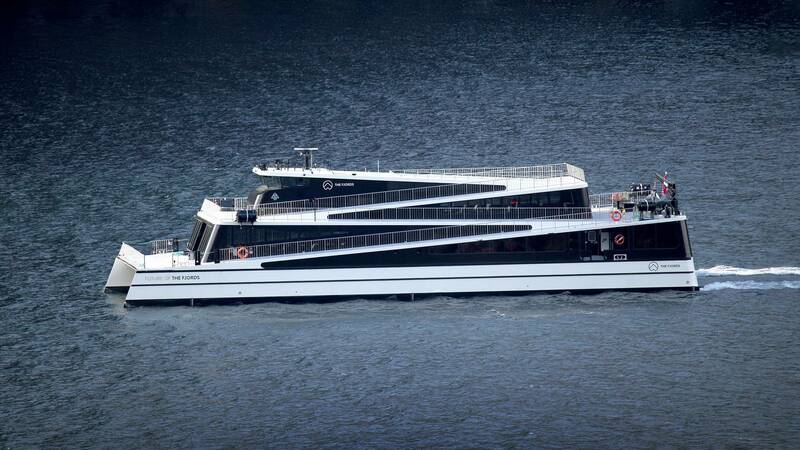 This makes Future of The Fjords the only passenger vessel not to discharge sewage directly into the fjords. 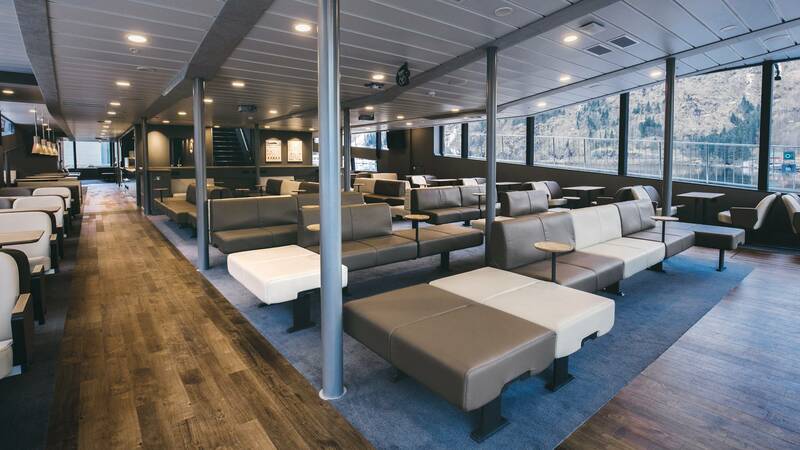 Brødrene Aa: A world leader in designing and building passenger ships from carbon-fiber composites, Norwegian shipyard Brødrene Aa created the iconic design of Vision of The Fjords and Future of The Fjords, and designed and constructed the innovative Power Dock. DNV GL: Classification society DNV GL was on hand throughout the project to provide advisory and class services (classing the vessel as a ‘light craft’), using its expertise to guide the collaborators through the entire compliance process and deliver technical insight. Enova: Enova is a Norwegian organization promoting low-emission solutions, and is backed by the Norwegian Ministry of Climate and Environment. Future of The Fjord’s all-electric propulsion solution pushed the cost of the vessel to NOK 54 million (about $6.4 million) above that of its sister ship. Enova provided NOK 17.8 million funding (about $2.2 million) to help make the vessel a reality. In addition, the organization provided funding of NOK 6.9 million (about $850,000) for the Power Dock solution. Bellona: The Bellona Foundation is an international NGO working to combat climate change through identifying and promoting environmentally sustainable solutions. Bellona acted as a project consultant and supporter, with Future of The Fjords complementing the organization’s long-standing mission to move the maritime industry towards zero-emission transportation. Westcon Power & Automation: Independent systems integrator Westcon tailored the vessels’ all-electric propulsion and battery system to comply with the stringent environmental and operational demands of The Fjords.